" Priscilla	"Queen Of Desert De Los Perros De Bigo "
Our lovely Priscilla was born in March 2015, his mother is our Santana and his father is called Mei-Lings Buzz Lightyear “BUZZ”, a beautiful cream male born in America and owned by our colleague Luisa Noguera. She has a wonderful character, he is always ready to receive and give affection. News !!! Our Priscilla at CH EUROPE 2016 in Belgium has been proclaimed EUROPEAN CHAMPION 2016!!! !, with only 17 months since intermedia class. 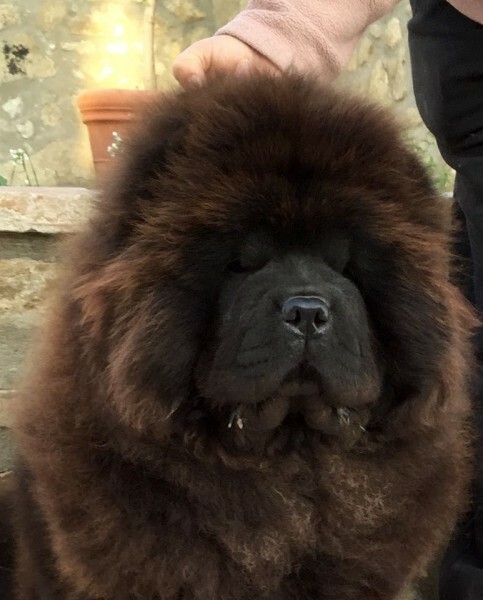 We have also went to France club show in September 2016, being the best female BOS, and finally we went a special chow in Saint Etienne and some IDS shows in France so our lovely Priscilla became FRANCE CHAMPION!!!! !